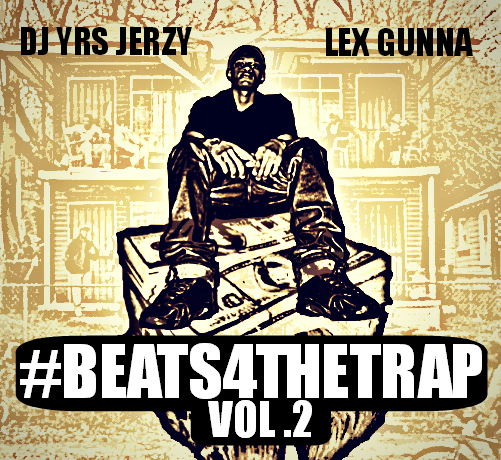 DJ YRS Jerzy and Lex Gunna drop the first beat for #Beats4TheTrap2. Get used to DJ YRS Jerzy because it looks as if he is not going anywhere. Recently, Jerzy joined SKE Records and made plans to launch his Talented Minds mixtape series with Q the Quesrion. With his work with Q the Question reaching new heights, DJ YRS Jerzy still has unfinished business with Lex Gunna. DJ YRS Jerzy and Lex Gunna released Beats 4 The Trap, Vol. 1 a little over a month ago to give the online world something to listen to. Now, the duo have planned to return with their sequel. Beats 4 The Trap, Vol. 2 will drop in a couple of weeks.